Whilst two wrongs do not make the third right, Glenn Greenwald's superb screed at The Intercept - details the latest outrage perpetrated by the National Enquirer, my go-to-choice for picking up droppings, as it were. 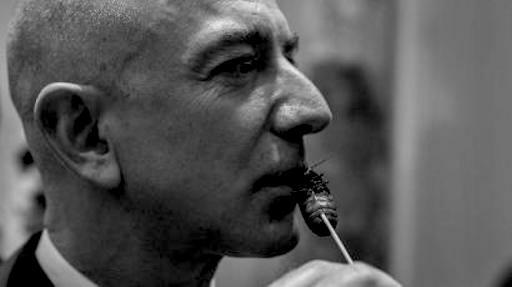 In this case the recepient of same is none-other-than Jeffrey Preston Bezos, of which,in a similar vein (so to speak) also happens to bring to public scrutiny the enormous surviellance apparatus Amazon Web Services is building. Something of a Evil Equation, when both sides of same are nearly equal (hence the term equation...) in their cumulative evilness (arguably a surveillance state is logarithmically to the power of 2 on the evil power gradient a greater threat than a single individuals' privacy breach). Bottom Line: No one should be subject to the invasion of her/his privacy, nor should anyone be forced to live in a surveillance state managed by any governement, NGO or commercial entity such as Amazon Web Services.